Has the time come to replace your windows? More Overland Park residents turn to Renewal by Andersen® of Kansas City than any other local window company. We are the local leader for window replacement in Overland Park, backed by more than a century of Andersen window innovation. When you turn to Renewal by Andersen® of Kansas City, you’ll choose from a wide selection of window styles. We never install cookie-cutter, off the shelf windows. Working with our award winning design team you will customize your window to fit your home and your personal style. 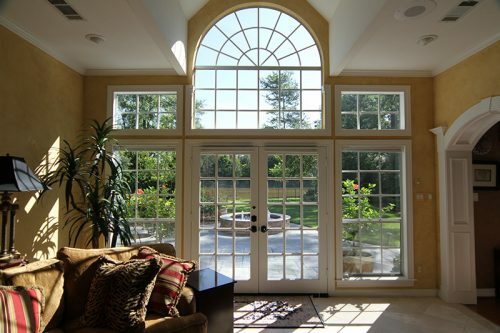 Each window we install is custom fitted to the home in order to ensure energy efficiency and aesthetic appeal. Energy efficiency is a key aspect of any replacement windows, and often the main reason a homeowner replaces their existing windows. But there is more to energy efficiency than just proper installation. The materials used to create the window must have energy saving properties. Renewal® replacement windows are manufactured from advanced materials like Fibrex™ and Low-E glass packages, which are designed to save on both heating, cooling, and electrical bills year ‘round. Replacement windows are an investment, one that pays for itself in both energy savings and increased home value. If you are thinking of selling your home in Overland Park, a window replacement project is a smart decision. Realtors and potential buyers are on the lookout for homes with newly replaced windows. And the number one replacement they look for is a Renewal by Andersen® replacement windows. For a FREE estimate on Renewal by Andersen replacement windows and doors schedule a FREE in-home consultation with our Kansas City replacement window experts, by calling Renewal by Andersen® of Kansas City at 913-385-1300. Or simply complete our handy request form.